© Hombo Shuzo Co., Ltd. 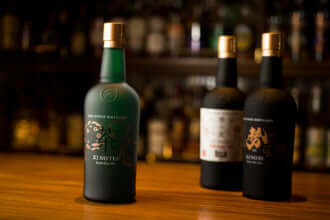 The Hombo Shuzo first became known for their shochu, a Japanese traditional hard liquor. In 1960, the company then started investing in new areas of production: whisky and wine. Having opened a production site in Yamanashi, Hombo Shuzo’s whisky distillery was re-located in 1985 to Shinshu in the Japanese Alps. This distillery became known as the Mars Shinshu, where aromatic whiskies are produced. 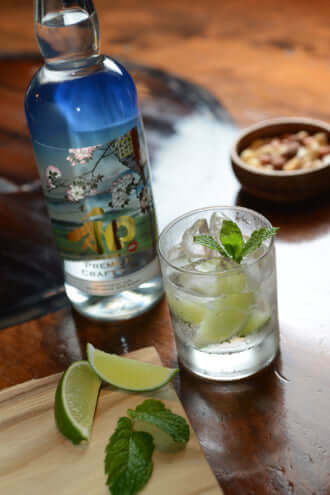 In 2017, then, the traditional brand (founded in 1872) decided to launch itself into artisanal production of gin. Thus, WA BI GIN began: a story with passion at its heart. WA BI means beautiful Japanese woman. 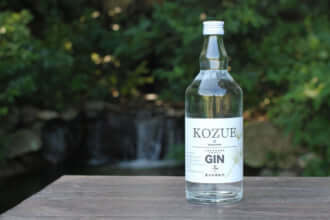 The gin contains a combination of nine local plants, dominated by yuzu and green tea, and is intended as a homage to Japanese nature. On the palate, you taste citrus (yuzu and kumquat) and green tea, fresh aromas of ginger and cinnamon on the nose, and an acidic flavour of bitter orange to finish. The alcohol tells the story of the richness of Kagoshima at the bottom of each glass: a subtropical, mountainous and volcanic region. Bon voyage.